step off, donald trump. 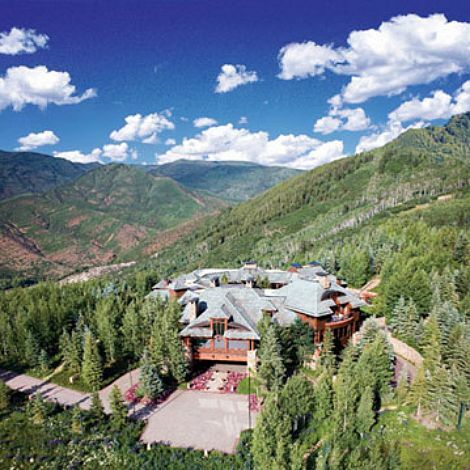 hala ranch is officially the most expensive property in the united states, at a price tag of $135M. 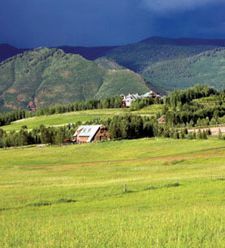 it has a 56,000 square foot main house (larger than the white house) and numerous secondary buildings, and sits on 95 acres of pristine forest just northwest of aspen, colorado. 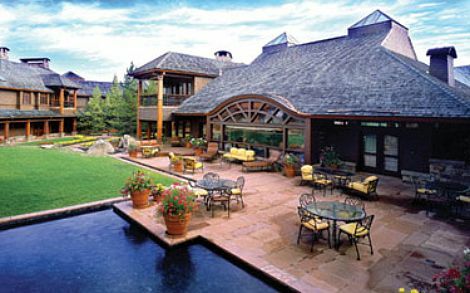 the property belongs to the family of prince bandar bin sultan, the former ambassador to the us from saudi arabia. 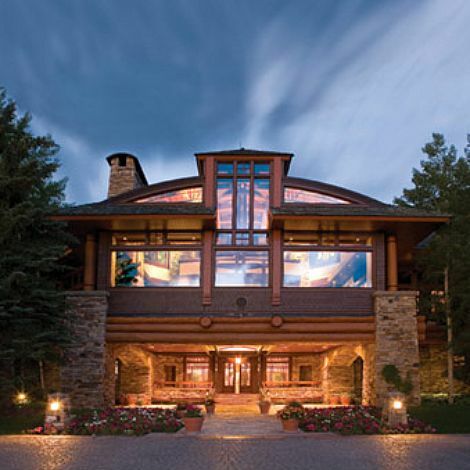 the home, designed by hagman yaw, has a heavy emphasis on natural materials, such as mahogany and stone. 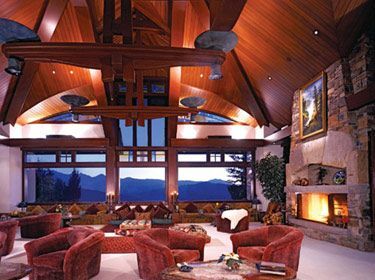 the enormous great room features handcrafted stained glass, custom hand-cast solid bronze hardware and a wood-burning fireplace. a staff of 16 keeps this room, professional kitchen, master wing with private beauty and barber room, the courtyard with reflecting pool and waterfall, dedicated wastewater treatment plant, gas station, car wash, indoor pool, steam room, racquetball court, tennis court, sculpture garden, haybarn, stable and the other 14 bedrooms and 27 bathrooms, in fine working order. 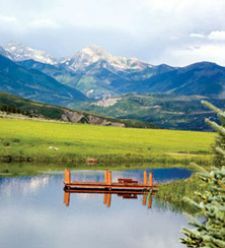 did i mention the stunning wraparound views of the rocky mountains? of the 1,000 or so showing requests the listing agent has received, only 11 have been granted, as you must be a billionaire to take a tour. i wouldn’t want to clean it. contact the listing agent here.